Looking for something to do with the kids this weekend? Need to get out of the house and relax with the family for the day? Galway East Tourism and Mykidstime.ie have teamed up to put together five Activity Routes around Galway East which are sure to keep your kids happy, entertained and busy whatever the weather or the time of year. 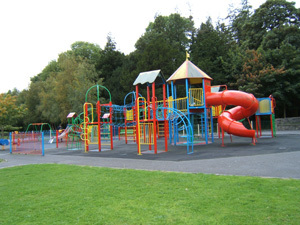 child-oriented adventure centres and visitor attractions. Places that are Free to visit are individually marked, and there is also a directory with the contact details of each of the places featured in the tour. The routes are free to download and can easily be printed off to take with you on your day out. Have a look and see what you think. We'd love to hear your feedback on how useful and easy to use the routes are. Have a nice day out! Click the routes below to download the brochures in PDF format.